This month is shaping up to be a beautiful example of Fall in New England. This weekend I managed to spend time out in the woods on both Saturday and Sunday. Fall colors around a meadow in Lyme. On Saturday I bushwhacked around the property boundary of a conservation easement in Lyme Center, on behalf of the Upper Valley Land Trust. 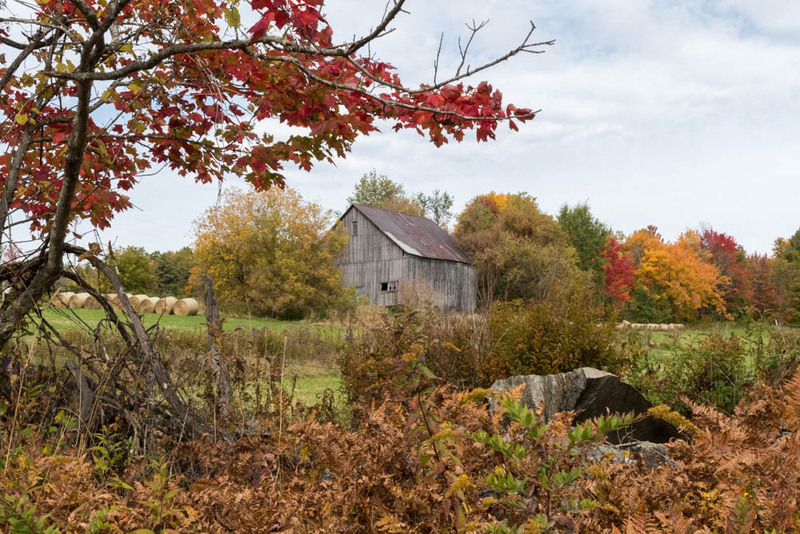 This beautiful patch of forest and meadows, a mix of hardwoods with some pine and fir stands, weaves up and down over the rolling terrain between the Connecticut River valley and the steep hills of east Lyme and the Skiway. The colors of Fall were just beginning to peak in a few species, and the woods were peaceful with the sleepy conditions common to late summer and early fall. The deep farming history of this region was clear as I scrambled over old stone walls, past barbed wire long absorbed into the border trees, and old blinds used by generations of Lyme hunters. The bluebirds flitted between sugar maples and apple trees on the edges of the meadows overlooking the Grant Brook valley. Not a bad way to spend a Saturday morning. Fall colors from summit of Cardigan. On Sunday I led a small group up the western slopes of Mount Cardigan, a bit further south in Canaan. The colors here were further along, as we climbed toward the bare summit of this popular peak. 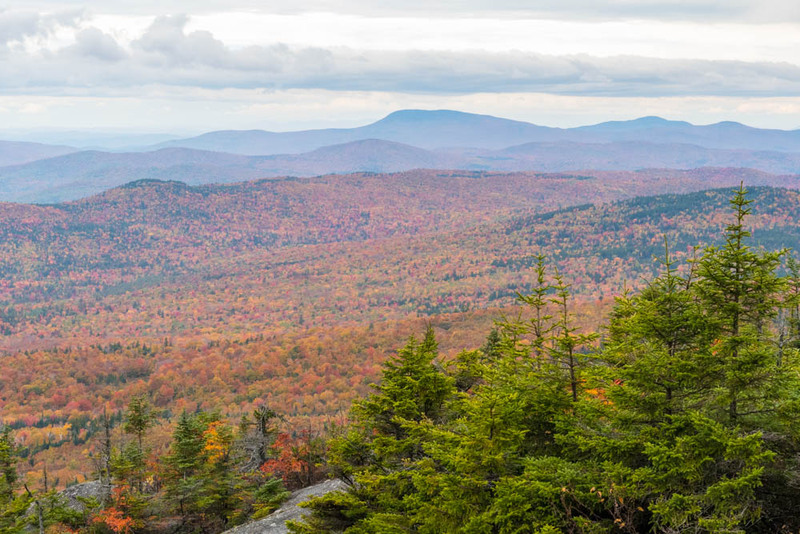 Although the sky was cloudy and the wind brisk, the group’s spirits were high as we enjoyed the 360-degree view of multicolored hills rolling off into Vermont, New Hampshire, and beyond. More photos on SmugMug – watch this gallery for more as the Fall progresses!